Here is a pair of very rare heavy Iron 19th Century Large Engraved Andirons with Tools also engraved. The Andirons measure approximately 29” inches High X 29” inches into Fireplace deep. Here is a pair of very rare heavy Iron 19th Century Large Engraved Andirons with Tools also engraved. 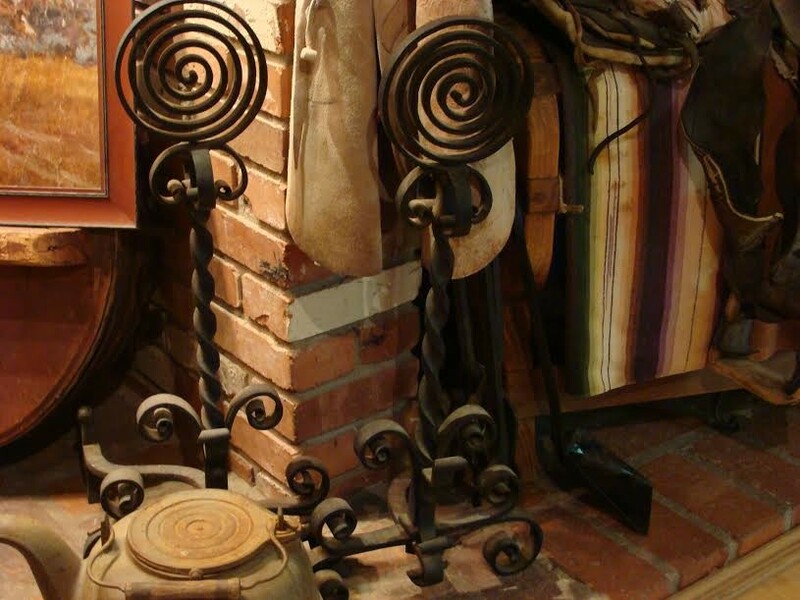 The Andirons measure approximately 29” inches High X 29” inches into Fireplace deep. Please email cowboycabin@centurytel.net with questions or call 406 270-2842.